A few spots are still available for my 5 day workshop at Quilting Adventures in the beautiful hill country of Texas. 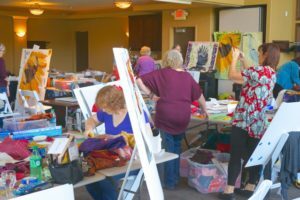 Debby and Kim have a wonderful program of Quilt Seminars that have broad appeal. I will be in New Braunfels March 26-31, 2017 to teach my Designing from Nature workshop. Join us for a great week of quilting fun! !